MAD TIGER follows bandmates Yellow (Kengo Hioki) and Red (Kotaro Tsukada), who have been best friends and business partners for fifteen years as the primary creative forces behind Peelander-Z. Based in New York City and described as a "Japanese Action Comic Punk Band," Peelander-Z combines performance-art and audience participation in their shows, which push the boundaries of madcap acrobatic stage antics. As part of the band, each member must adopt a different, anime-like "Crayola rock" persona and fully embrace this assigned identity in every aspect of life. Seeking his own personal fulfillment, Red announces that he will do one final tour with Peelander-Z before quitting the band. In stark contrast to his character’s super-positive facade, Yellow tries his best to keep it together, while dealing with emotions of shock, betrayal and abandonment. 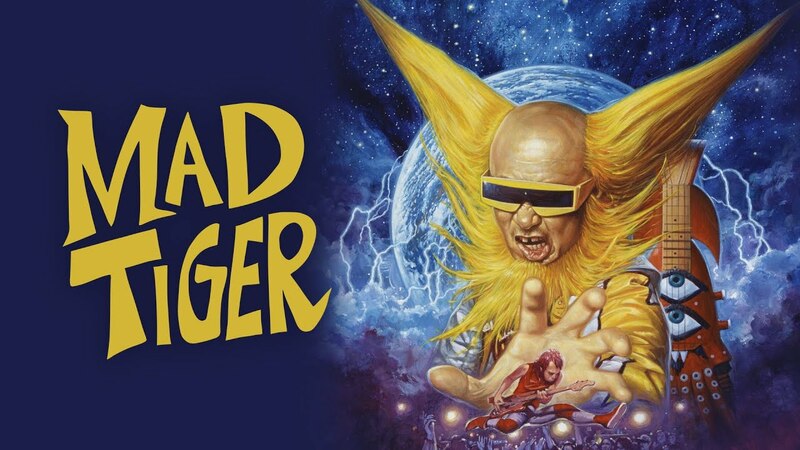 Channeling universal stories of friendship and pursuit of happiness, MAD TIGER builds to an unexpectedly moving crescendo, appropriately befitting of Peelander-Z’s cacophonous melody-making. "Fantastic portrait of a band and its leader that works on so many different levels. What I love about the film is that what starts out with a look at a band changes into a look at what it takes to be in a band and how the relationships outside of the band are forced to change because of the dynamics of the band." "10 Must-See Documentaries at DOC NYC." "The members of Peelander-Z unmask themselves for revealing new doc MAD TIGER... For close to two decades fans have known the band with their personas held firmly in place, their colorful costumes seldom removed, but the opportunity to meet Peelander-Z has finally arrived, and the line between artist and person is blurring."